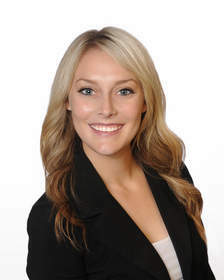 BOISE, ID--(Marketwired - Jul 28, 2015) - Cushman & Wakefield | Commerce today announced that it is expanding the Boise team with the addition of BreeAnna Fratusco as a Broker Admin. In this position, she will provide support to brokers in the sale and lease of commercial real estate properties in the Boise area. "BreeAnna will make a solid addition to the team," said Tim Reid, Market Leader of Cushman & Wakefield | Commerce, Idaho Region. "It is important to have well-rounded support in the office to ensure the brokers have what they need at all times. BreeAnna's experience has prepared her well for the rigors of our profession." Fratusco was previously an agency assistant at MassMutual Idaho, assisting in New Business and training on FieldNet through MassMutual University. There, she aided the agents, brokers and staff in day-to-day action items and with policy procedures, gathering data for clients and new agents as well. She graduated from the University of Idaho Moscow in Sociology with minors in Psychology and Justice Policy Issues. Cushman & Wakefield | Commerce, headquartered in Salt Lake City, Utah is an independently owned and operated member of the Cushman & Wakefield Alliance with offices throughout Utah, Nevada, Washington and Idaho. The firm partners with its sister company Cushman & Wakefield | NorthMarq to provide innovative commercial real estate solutions to occupier and investor clients, offering transaction services, capital markets services, occupier and investor services, and real estate advisory. Together the firms manage more than 52 million sq. ft. of retail, industrial, and office assets, have annual revenues of more than $100 million, and employ more than 750 professionals. Learn more at www.comre.com; www.cushwakenm.com. C&W | Commerce and C&W | NorthMarq are part of the Cushman & Wakefield platform, which is the world's largest privately-held commercial real estate services firm with 250 offices in 60 countries globally. www.cushmanwakefield.com. Cushman & Wakefield advises and represents clients on all aspects of property occupancy and investment. Founded in 1917, it has 259 offices in 60 countries, employing more than 16,000 professionals. It offers a complete range of services to its occupier and investor clients for all property types, including leasing, sales and acquisitions, equity, debt and structured finance, corporate finance and investment banking, appraisal, consulting, corporate services, and property, facilities, project and risk management. To learn more, click http://www.cushmanwakefield.com/.